you use our website www.sapporoglasgow.co.uk. Sapporo Teppanyaki is a restaurant based in Glasgow. Our registered address is 2-6 Ingram St, Merchant City, Glasgow G1 1HA. We will not contact you for marketing purposes by email, phone or text message unless you have given your prior consent. We will not pass your details to any third parties for marketing purposes unless you have expressly permitted us to. Furthermore, you can change your marketing preferences at any time by contacting us by email at marketing@sapporo.co.uk. 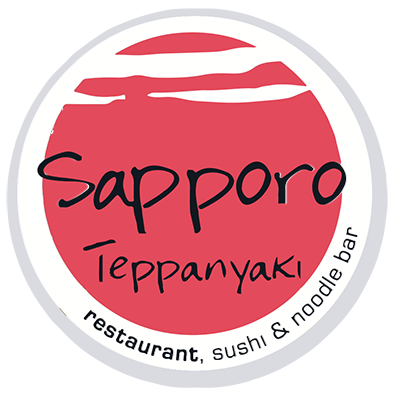 You have a right to request a copy of the personal information that Sapporo Teppanyaki holds about you and have any inaccuracies corrected. Any such requests should be made to this email address: info@sapporoglasgow.co.uk. We may share your information (such as meal or seating preferences and special occasions) with other restaurants in the same restaurant group. This is to enhance the hospitality experience that we (Sapporo Teppanyaki) provide you when you dine with us (such as, trying to seat you by a window, if you previously expressed a preference for window seating) (“customised service”) and to improve our table and shift planning. For more information, please feel free to contact us at: info@sapporoglasgow.co.uk. Our highly experienced chefs are the pride and joy of Sapporo Teppanyaki. With each training for over five years to become a master of their craft, our team of expert Asian chefs have been handpicked by our directors so that you can sample the very best in Japanese cuisine. Our Asian chefs return each year to their home countries in order to stay in touch with their Asian roots and cooking traditions, while also sourcing the very best recipes available and reinventing them to create a menu that is authentic, inspiring and contemporary. When watching our chefs prepare your meal, you should expect to be entertained. Their skills are not something you will see in any old restaurant, and the thrilling, interactive experience is sure to have you dining with us time and again. With roaring flames, expert trickery and a fully interactive experience, visiting our Japanese restaurant in Glasgow is never simply ‘grabbing a bite to eat’. Our restaurant and sushi bar is a popular destination for Glaswegians and visitors alike, and we are sure that each time you visit us you will be captivated by what we have to offer.